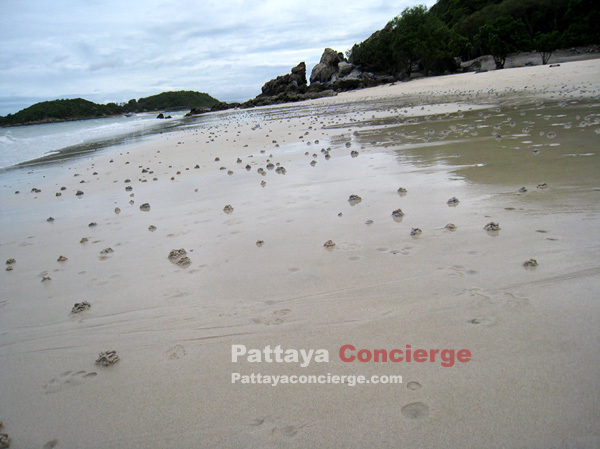 Ta Yai Beach is so small that visitors can walk from one side to the other side within five minutes. 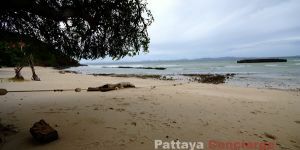 The beach is pretty quiet as not many tourists visit this place, and there is only one shop available here. 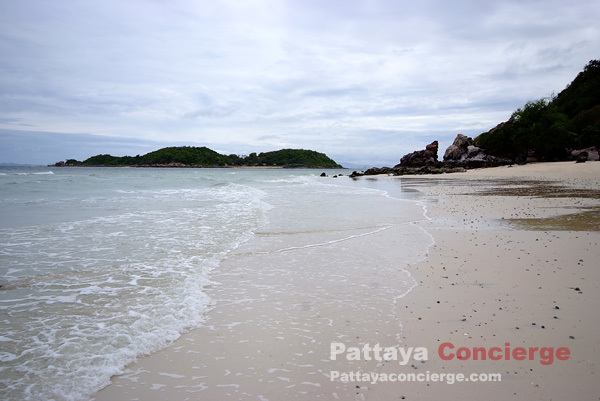 The seawater at this beach is really beautiful and clear. 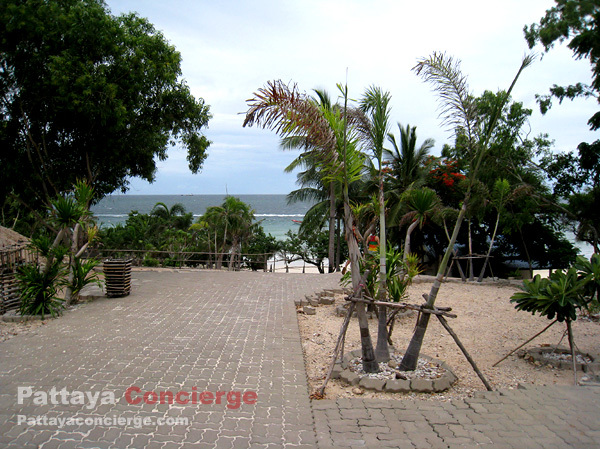 There are also several cays on the coast, but visitors are still able to enjoy seawater. 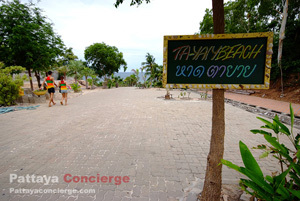 No accommodation available at Ta Yai Beach at all. 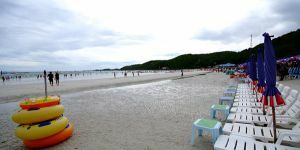 It is very easy to go to this beach. 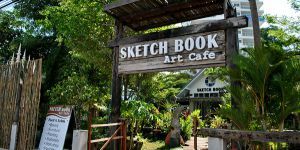 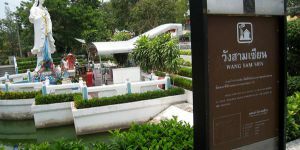 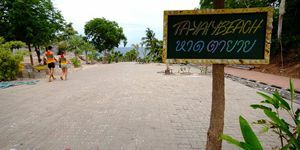 From Naban Port, visitors just turn right to the way to go to Koh Larn’s Shooting Range. 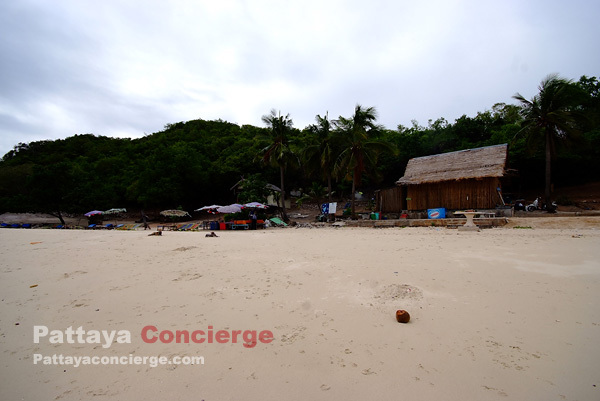 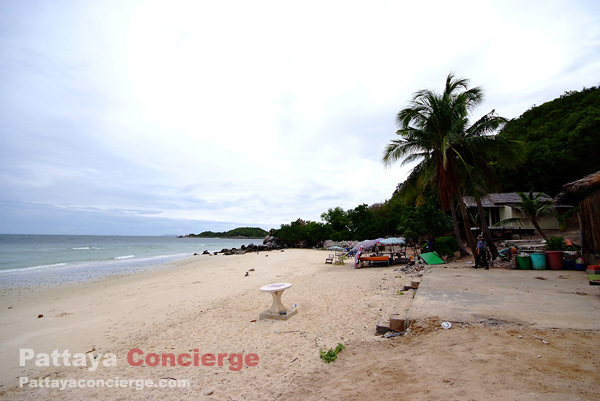 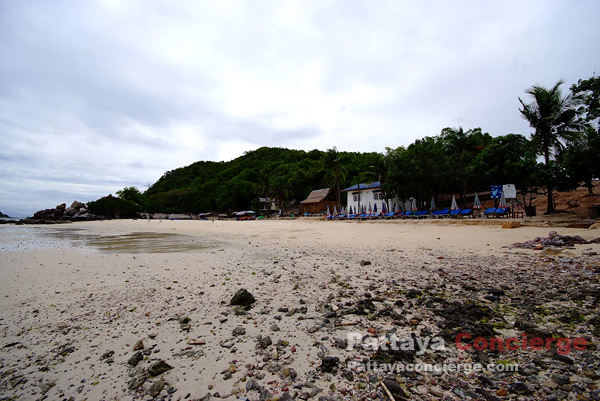 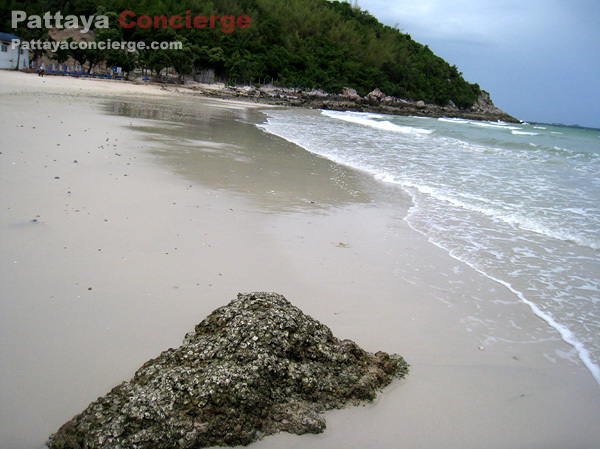 Ta Yai Beach is located just a little more far than the shooting Range. 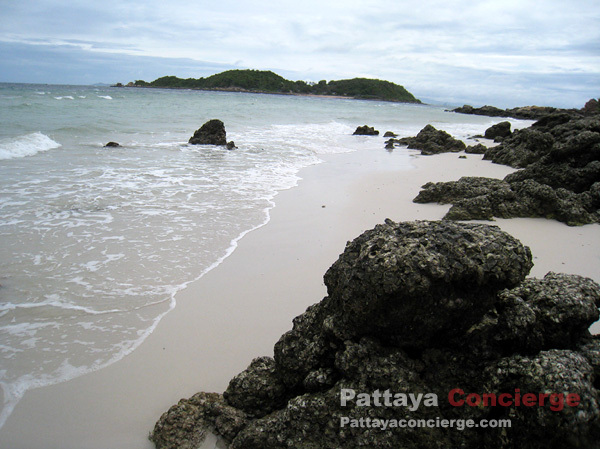 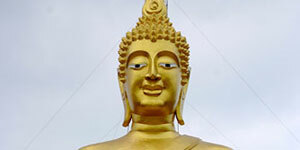 Visitors can ride a motorcycle approximately 15-20 minutes from Naban Port to Ta Yai Beach. 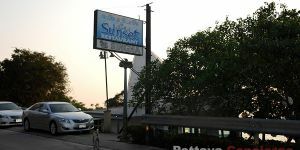 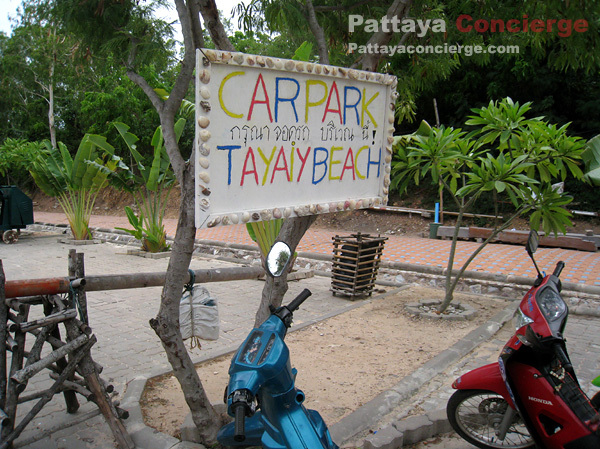 There is a car parking before entrancing to Ta-Yai Beach. 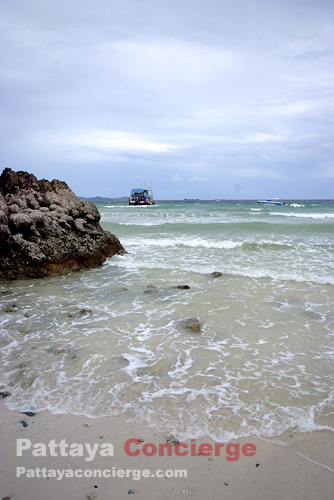 There is also a cape, named Hoa Khod, near this beach, so visitors can also enjoy natural view from there as well. 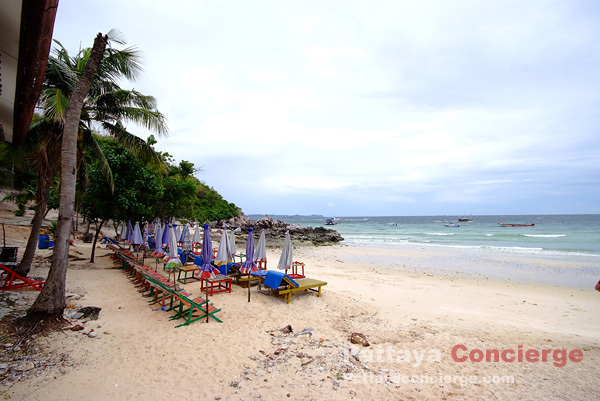 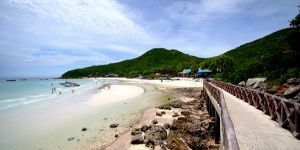 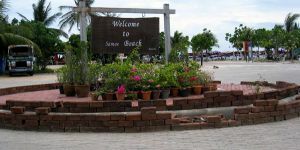 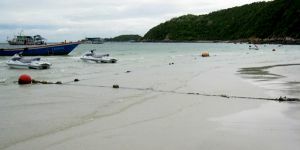 In the past, this beach is quite popular, but but since Tawan Beach constantly becomes more popular, this beach is seen less popular.